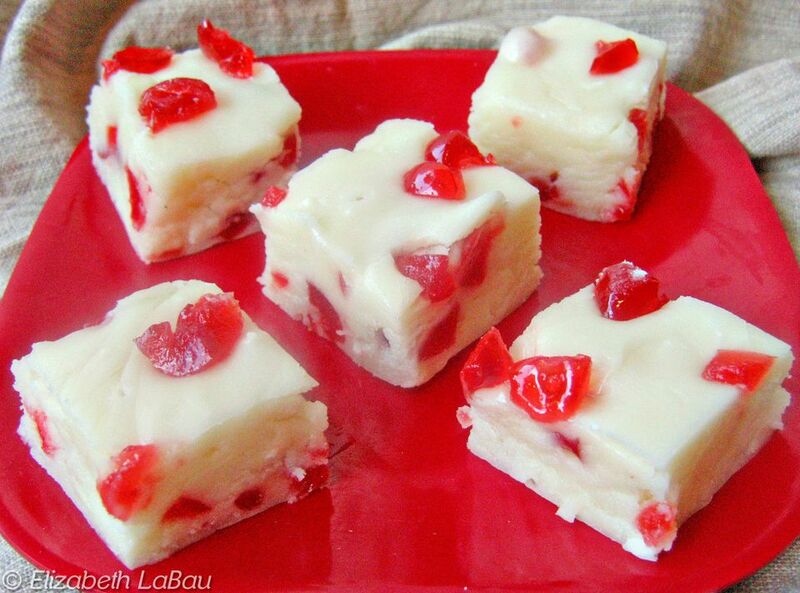 This creamy white fudge is dotted with striking glimmers of candied cherries. But the best part is that it's easy to make with only five ingredients. Prepare an 8x8 inch cake pan by lining it with aluminum foil and spraying the foil with nonstick cooking spray. Combine the milk and chocolate in a heavy saucepan over medium heat. Stir until smooth and combined, and remove from heat. Add the cherries, vanilla, and salt, and stir until well combined. Pour into the prepared pan and smooth the top with a spatula. Allow to set at room temperature (2 to 3 hours) before cutting into 1-inch squares.